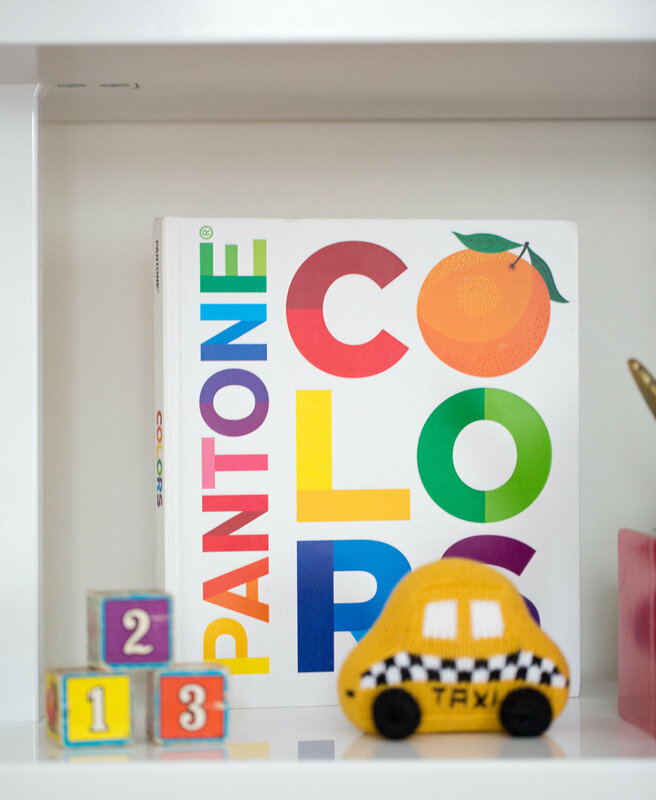 Elle's nursery creation was a labor of love. Having a baby girl to design for, dress and, of course, love up has been a dream of mine so, even though I'm not an interior designer, I needed to make sure I made it special for her. 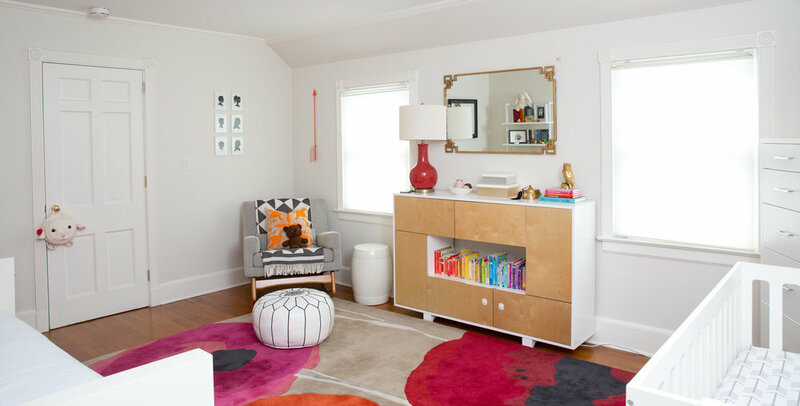 It all started with the bright, poppy rug by Sanderson that I fell in love with. From there, it guided my color choices, overall look and energy becoming the center of her happy sanctuary. I wanted her room to feel sweet but chic. Something she could grow into instead of out of quickly. Hope you love it! Mobile: Heart Cloud Mobile in Gold, Baby Jives Co.